From movies to comics to graphic novels, monsters and their ilk tap into the terror that lurks in the darkest regions of the human collective unconscious. Enduringly popular characters, from vampires to zombies, provide an exciting challenge and appeal to comics and animation artists. 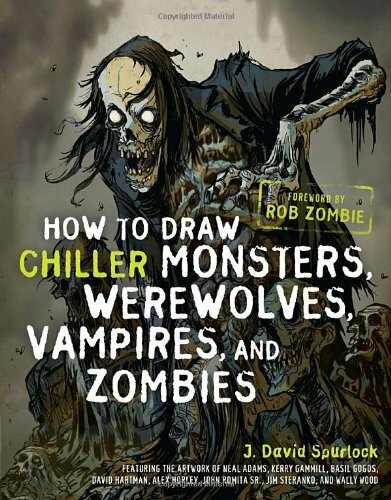 How to Draw Chiller Monsters, Werewolves, Vampires and Zombies features the artwork of comic-book artist and Hollywood monster designer Kerry Gammill, Gene Colan as well as Neal Adams, Jim Steranko, Jack Davis, David Hartman, Frank Frazetta, Basil Gogos, and Wally Wood. If you have any questions about this product by WATSON-GUPTILL, contact us by completing and submitting the form below. If you are looking for a specif part number, please include it with your message.